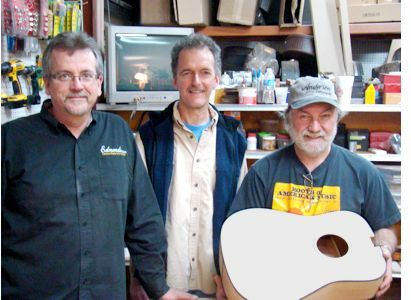 HoustonFest 2012 will host a very special live auction featuring acoustical instruments handcrafted by master luthiers of the Appalachian Region. A Wayne Henderson guitar, Jimmy Edmonds fiddle, Anderson – Strickland mandolin, and a Steve Huber banjo will be offered to the highest bidder. These much sought after instruments compose the Masters Auction to be conducted live on the Main Stage of HoustonFest 2012. The auction will be conducted by Mr. Kenneth Farmer Jr. owner of Ken Farmer Auctions & Appraisals, LLC and a guest appraiser on PBS television Antiques Roadshow. Bids will be taken from the audience, over the internet, and by phone.